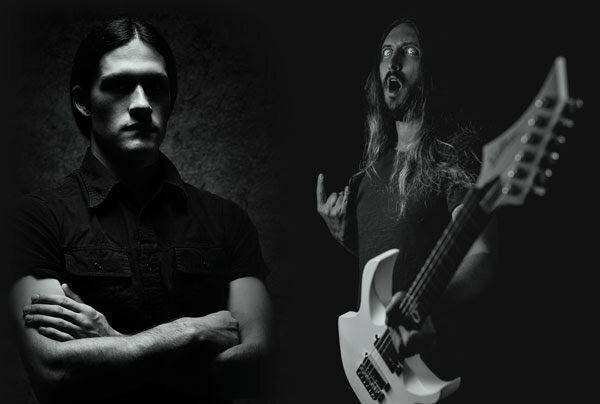 Guitarist Ola Englund (THE HAUNTED, FEARED, ex-SIX FEET UNDER) and drummer Kerim “Krimh” Lechner (ex-DECAPITATED) are collaborating on a new project called ELDVÅG and starting today you can get a taste of what’s to come from this new endeavour. Check out the yet unnamed track via a play-through video showing Englund abusing his guitar and Lechner destroying his drum kit. Both musicians have achieved a grand success in their many endeavours and are also are renowned for their online tutorials depicting their technical and recording skills. The duo is currently looking for a vocalist to round off the lineup and contribute to the material and have recorded this play-through video with the purpose of auditioning interested musicians, with or without any experience. If you’re interested in auditioning for ELDVÅG, please see the description at the video for more details. In other news, Lechner recently completed the recordings of a new studio album for his solo project KRIMH. Titled Krimhera, this new effort features 10 new tracks and will be released on December 10. Englund, meanwhile, is also hard at work with THE HAUNTED, promoting the recently released album Exit Wounds live as well as recording the upcoming FEARED album.